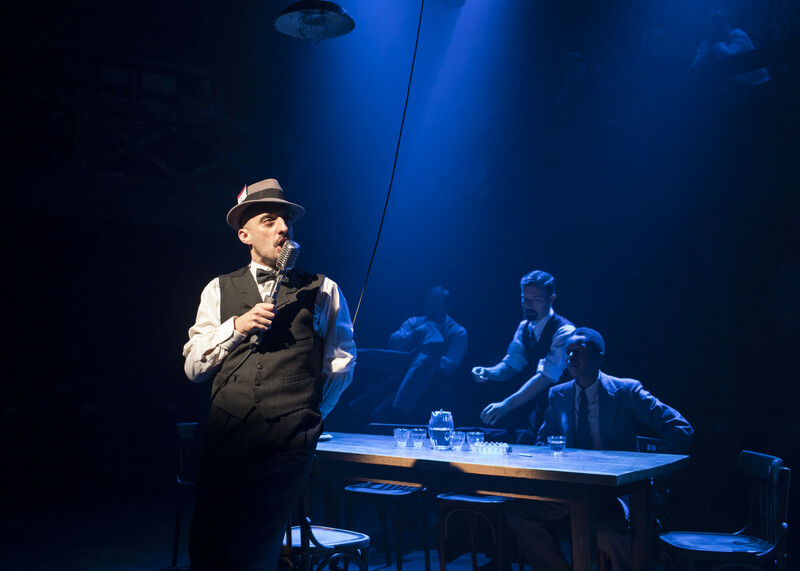 Well, to start at the end, I can’t remember a more personally `engaged’ ending than Simon Evans manufactures for the climax of Brecht’s 1940s political satire on the rise of Hitler in an American gangland setting. 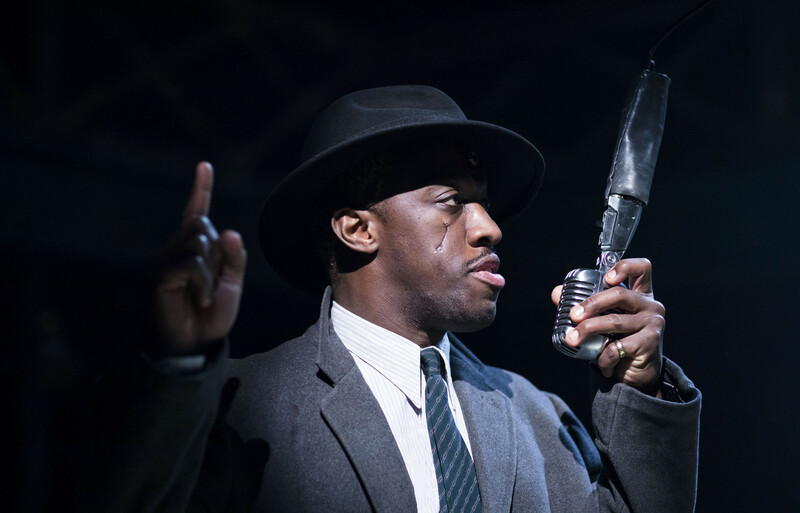 Having `masssaged’ the audience into various bits of participation, we are then confronted with Arturo Ui preparing himself for his biggest rally, at last master of all he surveys. We are encouraged to `stand’ and support him. Would you? Evans and this version’s adaptor, Bruce Norris’s cleverly engineered twist is inescapable. By so doing they question the nature of collective, public collusion in the rise of demagoguery. How easy it is to coerce and smooth the path to dictatorship. How malleable we are as a populis. Shakespeare has of course delved into this in Coriolanus and Julius Caesar as well as Richard III. But in my experience, there has only been one other `real-time’ call to action similar to this, when in Chichester of all places, Mark Rylance managed to raise middle-class audiences to their feet in a Spartacus-like show of unusual defiance shouting `I am Shakespeare’. Given its ability to so keenly reflect our own troubled times with its pointed parallels to political chicanery and a gullible public, it’s no wonder Brecht’s Resistible Rise keeps popping up all over the place. Norris, perhaps not altogether wisely, also makes it only too apparent at whom his satire is levelled. Evans, following Norris’s lead, tends to play to the broader end of farce with an often frenetic production in a Donmar auditorium reconfigured as a nightclub with tables surrounding the stage area and crooning songs between scenes. It’s all very 1940s as Emanuele Giri, Giuseppe Givola, and Ernesto Roma – Brecht’s Goering, Goebbels, Rohm equivalents – go through their paces, intimidating and bullying their way to power. To be sure, some of the niceties of the `dark arts’ of bribery and corruption Brecht alludes to with his Cauliflower Foundation members, grocers and Michael Pennington’s ageing councillor, Dogsborough (aka Hindenburg) get lost in the ensuing over-busy mayhem. 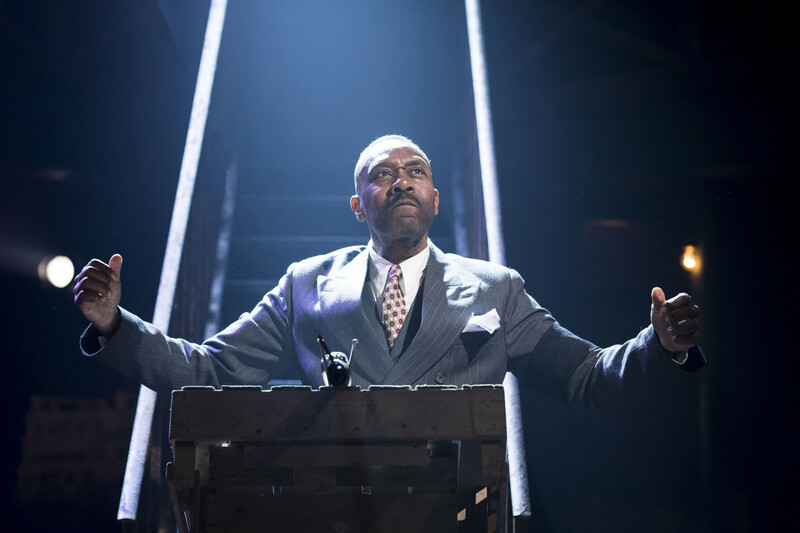 But Evans’s vision also prospers from a marvellous cross-gendered ensemble and fantastic team-work, and headed by Lenny Henry who brings a certain malicious humour to Ui whilst imposing sufficient authority to understand the loyalty he can command from his followers. He melds beautifully into the whole. But it is Giles Terera as Ui’s best friend Roma (Rohm), betrayed by Ui who best conveys the terror underlying the comedy whilst Justine Mitchell’s symbol of Austrian capitulation. Betty Dullfeet (wife of the Austrian Chancellor, Dollfuss, assassinated by Hitler) brings valuable, much needed poignancy to the tragedy about to befall them. In the end, despite the high jinks and `fun’, this Evans-Norris version brings home more graphically than any other I have ever seen, how the Arturo Ui’s of this world are to be resisted. An object lesson in resistance. All other characters played by members of the company. 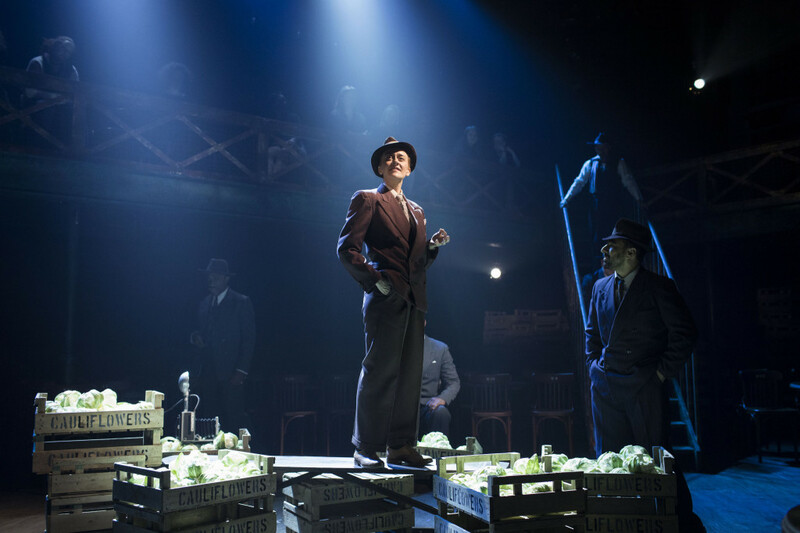 First perf of this production of The Resistible Rise of Arturo Ui, at the Donmar Warehouse, London, April 21, 2017.